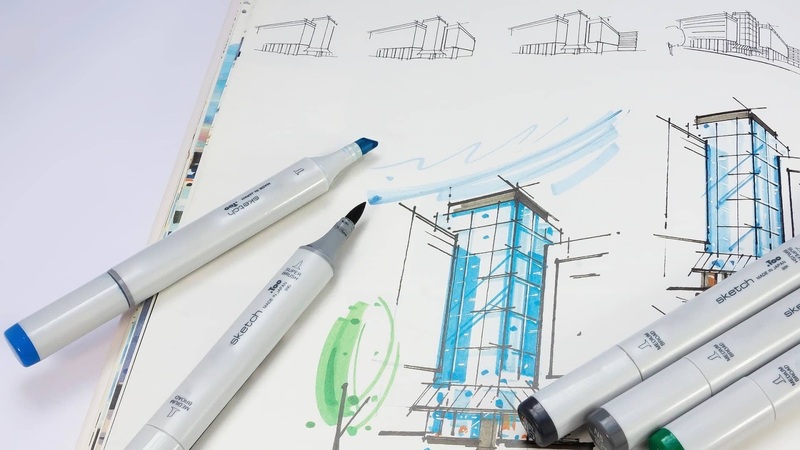 As architects near the end of the architectural design process, there’s often a variety of “finishing touches” to be made before the two-dimensional blueprints can begin their transformation into a tangible three-dimensional structure. In some cases, decorative window graphics can be one of the more useful and dynamic finishing touches in an architectural blueprint. While architectural window design is usually part of the plan from the very beginning—after all, it would be difficult to actually build a structure if windows hadn’t been included in the original designs—adorning those windows with decorative graphics is not. With the right decorative window graphics, an architect can elevate a traditional space into something new and exciting. When planning out an office space, try substituting walls or partitions with sheet windows or glass walls. Not only will this let in more light, but it will also give off the impression that the room has more square footage than it actually does. Adorning these glass surfaces with decorative graphics can take this effect even further, as you can use a wide variety of styles and designs to create an environment that seems to expand far past its own boundaries. For example, LINTEC Digital Window Graphics can outfit any office with a diverse variety of designs and illusions, including waterfalls, exotic gardens, and other breathtaking landscapes. These “illusions” invite the beauty of the outdoors into architectural design and can effectively transform traditional office spaces into something far more imaginative and dynamic. Above all else, windows are meant to allow natural light from the outdoor world to filter into an indoor living space. Like plants, people need sunlight to function properly. With the right decorative window graphics, you can maximize the level of natural light let into an environment without sacrificing privacy or needing to put up with a distracting glare. With LINTEC’s optically clean window film, you can outfit an architectural design with a wealth of natural light sources that won’t only improve the health and mood of everyone inside but will also keep out distractions, harmful UV rays, and anything else you wouldn’t want leaking in from the outside. When deciding what kinds of glass or window graphics are best for your designs, consider using a variety of opacity levels for each window. For example, transparent glass can be seen straight through, while translucent glass obscures the view but still allows natural light to enter unobstructed. This is ideal for office spaces especially, as a frosted window graphic can keep the space illuminated without sacrificing the value of privacy. With the kinds of window graphics offered here at LINTEC, you can create an aesthetically pleasing design that seamlessly blends style with practicality. Graphics can be frosted, tinted, or inlaid with high-definition images or illusions that can predispose a given space for privacy, energy, sunlight, or all of the above. When properly utilized in the architectural design, decorative window graphics can act as a layer between interior and exterior while simultaneously creating a customizable canvas for expressing ingenuity, creativity, and style.